Weighing your options when choosing to upgrade your kitchen or bathroom countertops can be tricky. Two of the heavy weights when it comes to countertops are granite and quartz. This comparison will help distinguish the differences between quartz versus granite. More resistant to stains? With proper sealing granite is very stain resistant. No sealing is necessary, non porous. Edge goes to Quartz. Which is a Natural stone? Granite is a natural stone, it's earthy natural look make it's beauty difficult to match. Quartz is an engineered stone, made up of 93% Quartz and 7% resin(typically polyester). Which stone is more affordable? Cheap to mid tier colors are similar to Quartz prices. Rare exotic colors are significantly more expensive. Similarly priced to granite, quartz prices have dropped in recent years. Quartz Countertops are engineered by mixing small crushed pieces of quartz mixed with a resin. The typical mix is comprised of 93% crushed up quartz and 7% of the added resin. Some of the top manufacturers of quartz countertops are Caesarstone, Cambria, Silestone and Hanstone. These manufacturers offer a wide variety of options when it comes to colors and patterns. Granite countertops are not an engineered material as quartz is. Granite is quarried from a wide scope of locations from around the world. Before being transformed into the final product that you see utilized in homes across the world, it is excavated from the earth in a large block form. Later in the process it is delivered and cut by fabricators into slabs that you see at your local granite yard. In the battle for countertop supremacy quartz definitely has its fair share of benefits and drawbacks when battling vs granite. Despite being a man-made material quartz countertops are just as hard as granite. However with the addition of the resin that binds the crushed quartz(typically polyester), it is slightly better at holding up against scratches than granite. When it comes to maintenance there is no question Quartz is the better option. The reason being, quartz is actually a non-porous material. Meaning you will NEVER need to seal your counters. Typically one of the major worries with counters is the ability to hold up against stains. As mentioned previously quartz is a non-porous material. This makes quartz stain-resistant. One of the negatives with quartz is it’s susceptibility to sun-light. The darker shades of quartz will tend to fade faster then the light ones. If you have sections of your surfaces that are exposed to direct sun light more often then others, you may notice a difference in color over time. More often then not however it’s not a huge concern, as glass windows tend to reduce the power of the suns rays. Quartz countertops are extremely heavy, even more so than granite, installing granite counters is not really a do-it-yourself type of job. One thing to take note of with quartz is if your utilizing it for a long stretch of counter space, you are going to have a seam. You buy quartz like granite in a slab form, the average size is 9’x5′. You should consult with your fabricator on the best place to have your seem, to make it as invisible as possible. Quartz is better for masking the appearance of a seam then granite because the color has been apply by the manufacturer. The seam will be even less noticeable if you go with solid color to a certain degree. Quartz definitely has it’s fair share of benefits over granite, but there is something special about the look and feel of a natural stone in your kitchen or bath. While the natural and exotic beauty of a granite slab is obviously a benefit, it opens up another can of worms. Typically it’s going to take a few slabs of granite to complete a larger job like a kitchen. Matching multiple slabs of granite definitely can take some due diligence and even after investing considerable time it’s hard to find a match made in heaven. Unlike quartz, you NEED to seal your granite countertops. Sealing should be done at the time of installation, and then repeatedly ever year or so for the life of the counters. It’s very important to seal regularly because granite is a porous stone. Keeping in the routine of sealing is very important if your want to keep pesky stains from penetrating your surfaces. Durability is definitely a benefit of using granite for your countertops. However you do need to keep in mind it is a natural stone and it isn’t invincible by any stretch of the imagination. You don’t want to be applying extreme pressure to your counters, specially in spots why there is less support. For example you don’t want to be standing on the overhang of your kitchen island changing a light bulb. With that being said, granite might not be as strong as quartz, but it’s mighty close, with regular sealing you should be able to enjoy your granite for the life of your home. Similarly to quartz, granite is very heavy and you are going to want to hire an industry professional to complete the job. It’s really not worth slacking on the installation, so do yourself a favor and get the job done correct the first time. Your going to have a seam and it’s not going to be easy to hide, as there is a ton of variance in the appearance of a slab of granite. However, choosing the best location to place your seem will definitely give you a cleaner less noticeable look. Often times I have seen installers opt to but the seam right down the middle of the sink. This will cut down on the length of your seem and make it a little less noticeable. So be sure to mention seam placement with your installer. Purchasing granite online is a big gamble. Sometimes you can save money if your order from a big time seller like build direct. However with granite there can be a large difference in the appearance of one slab to the next for the same color. You should really choose all your slabs in person, or if your buying online be sure to careful to inspect a picture of the actual slab you are purchasing. When push comes to shove, there is quite a bit of information to mull over when weighing whether to go with quartz or granite. The bottom line however, whichever option you opt to go with, let it be yours because it’s going to be in your home. Here it is, the elephant in the room…price! Always a major sticking point, granite and quartz are actually surprisingly similar in cost. You would think with all that goes into getting a granite slab to your area, between excavating, and sending the stone from one country it would be a lot more expensive than granite. However typically that’s not the case. Of course there is exceptions, depending on the color of granite you choose there can actually be a lot of variance in pricing. Some granites are extremely rare, and like most anything in this world, if there’s not a lot of something it tends to have a higher price-tag. The average cost for granite installed commonly sits between $45 and $200 per square foot. The gap between a cheap granite and the expensive granite is quite large, but fear not if your budget is more in the $45 to $75 per square foot range, you will still be able to afford a wide range of beautiful granite colors. The average cost for quartz countertops installed falls in the range of $60 and $97per square foot. Based on 28 ft.² your looking at a necessary budget between $2100 – $3140 for your countertops. The thing with granite is if your looking for something really unique, your gonna have to pay for it. There are a number of options that fall in the same price range as quartz, but if you can’t find something you like in that range the price can rise dramatically. Since the boom of granite in the countertops in the early 90’s the price has significantly dropped. Which has made it much more affordable for the middle-class. Prices can fluctuate sporadically based on a number of factors. The fact is granite is quarried, packed in containers and shipped overseas thus it is subject to varying petroleum prices. Beyond these factors, simply visiting a few local stone suppliers can go a long way towards cutting down on your expenses. Certain suppliers may have a surplus of a certain stone and drop their prices accordingly to move the product. Also it’s important when choosing granite for smaller projects like bathroom vanities to go to a supplier that offers granite remnants. Remnants are left over chunks that often times are still large enough to be cut and used for applications like kitchen islands and bathroom vanities. Odds are if you’ve landed on this page, this isn’t the first thing you’ve read about granite or quartz. Everybody has an opinion on what’s better, and to be honest you can’t really say matter of factly that one is superior. When reading reviews about quartz and granite, be sure to realize that everyone’s situations and personal needs are different. Someone who is all about granite and has a rave review of it might be someone who is a neat-freak and is very punctual. You could be a laid back care free person who might be more likely to let something like sealing your granite countertops yearly, turn into a one a decade kind of practice. If you sound like the latter going with quartz might be a good idea as it’s about as low maintenance as you can get. The important message I’m trying to get across is to take your personal needs into account. Don’t let others sway your decision to much, because ultimately your the one that will be living with your decision for as long as you stay in your home. There isn’t a substantial difference in what you will typically pay for granite vs quartz countertops. Yes, granite can become a lot more expensive when you get into the more rare and exotic colors. However, there are a ton of options for you if your looking for something that is comparable in price to quartz. Both quartz and granite have qualities that endear themselves to people. Granite has nature built into it, the pool of different patterns and granite colors is far reaching. Sometimes it’s almost hard to believe that such an elegant stone could form naturally. Quartz has come a long way in catching up to granite in the aesthetics department, there are many varieties of quartz that closely mirror the appearance of granite. 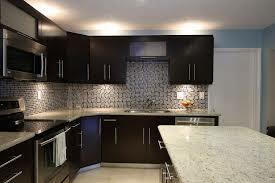 Additionally though, you have the option of going with a solid color opting for quartz. With solid colors, the seam in your counters will be barely noticeable as it is much easier to match than a slab with veins that closely mocks the look of a granite. When push comes to shove…to each is own. They are both tremendous options and offer great qualities, it’s up to you to choose which one accents your home the best. 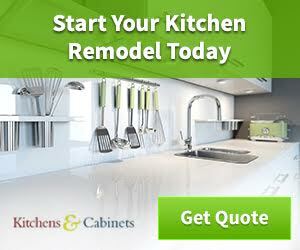 Important things to take into account are your cabinets, flooring, and to a lesser degree your paint colors as it’s a lot cheaper to repaint a room, then replaces the floors or cabinetry. Whats more popular right now, Granite or Quartz? Make no mistakes Granite is still the number one choice for the majority of consumers. However quartz has come down in price in recent years and is firmly in the number two position, and gaining ground quickly. Quartz is the quickest growing market-segment and making a mad dash towards granite as the industry leader. Can the addition of these stone countertops increase home value? Yes, upgrading to a stone countertop will help raise the evaluation of your home. You can definitely look at your new countertops as an investment, that will raise the price of your home as well as help sell the home quicker. The difference between a laminate counter and a stone surface is night and day. Often times a beautiful countertop is the missing link in bringing a kitchen or bathrooms aesthetics to a whole new level. You don’t even need to do any fancy renovations along with it, as often times theirs enough going on in the granite or quartz that a clean simple look, will be the best option. Is there health concerns associated with quartz or granite? A lot has been made about the potential health risks associated with granite and to a lesser extent quartz. Despite the attention this subject has gotten, radon levels in granite are low to non-existent. If your concerned about the health risk associated with these naturals stones you can always have a radon test performed at your home. So you’ve heard the pros and cons of both granite and quartz, the balls in your court. Regardless of your choice you really can’t go wrong, both options are very durable and extremely appealing. Header image “Granite Kitchen” by Granite Charlotte Countertops, CC-BY-2.0.